Rajes Kumar And Pankaj Mithal, JJ. 1. The petitioners to the writ petition have prayed for issuance of a writ of certiorari quashing three notices dated December 16, 2003 (annexures 11, 12 and 13 to the writ petition) issued separately to all three of them by the Assistant Commissioner, Central Circle, Agra, under section 158BC of the Income-tax Act, 1961, requiring them to submit returns of their total income including undisclosed income for the block period April 1, 1997 to April 24, 2003. The petitioners have further prayed for quashing of the panchnamas (annexures 5, 6, 7, 8, 9 and 10 to the writ petition) pertaining to the search and seizure which was carried out on April 24, 2003, and to return the seized assets/goods/articles of the petitioners. 2. The petitioners have also filed an application for amendment praying for calling of the original records of authorisation of search and seizure and to quash the same as the authorisation is said to be without jurisdiction. 3. We have heard Sri R.R. Agrawal, learned counsel for the petitioner and Sri Dhananjai Awasthi, learned standing counsel for the Income-tax Department and with their consent proceed to decide the writ petition on the merits. 4. The first and the foremost argument of learned counsel for the petitioners is that the authorisation and issuance of the search and seizure warrant is without jurisdiction as it is signed by the Additional Director of Income-tax who does not have authority to sign the same. 5. According to him, the Additional Director of Income-tax has no authority under law to issue/sign the authorisation as the authorisation for search and seizure, according to rule 112 of the Rules, has to be in Form 45 which does not prescribe signing by the Additional Director. 6. The argument may sound a little attractive in the first place but on a deeper scrutiny has no substance. 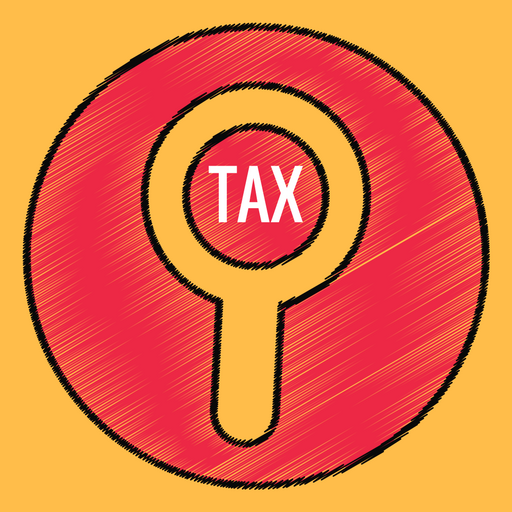 Previously, under section 132 of the Act the Additional Director or the Additional Commissioner of Income-tax was not conferred with the power to issue authorisation for search and seizure but the said provision was amended by the Finance (No. 2) Act of 2009 and in addition to the officers mentioned in section 132, the Additional Director or the Additional Commissioner of Income-tax was also added and conferred with the power to issue and sign the authorisation with retrospective effect from June 1, 1994. By virtue of the above amendment the Additional Director or the Additional Commissioner of Income-tax also became competent to issue and sign the authorisation for search and seizure, thus validating the authorisation of search and seizure of April 24, 2003, issued under the signature of the Additional Commissioner of Income-tax. 7. Rule 112 of the Rules envisages that the authorisation for search and seizure under section 132(1) of the Act has to be by the Director General or the Director of Income-tax or the Chief Commissioner or Commissioner of Income-tax or the Deputy Director or Deputy Commissioner of Income-tax as may be empowered by the Board and shall be in Form 45 which has been prescribed for the purpose. Form 45 so prescribed apart from giving the contents of the warrant of authorisation for search and seizure in the end describes the signing authority by designation of the Director General or the Director of Income-tax or the Chief Commissioner or Commissioner of Income-tax or the Deputy Director or the Deputy Commissioner of Income-tax but does not include the Additional Director or the Additional Commissioner of Income-tax. Neither the rule nor the Form in specific terms as such mentions about the Additional Director of Income-tax or the Additional Commissioner of Income-tax as the person authorised for signing the warrant of authorisation for search and seizure. 8. It appears that the aforesaid rule and the Form which existed prior to the amendment of section 132 of the Act is continuing as such with no corresponding change pursuant to the amendment in section 132 of the Act enforced, vide the Finance (No. 2) Act of 2009. The aforesaid rule and the Form continued to remain as in existence prior to the aforesaid amendment. However, non-inclusion of the Additional Director or the Additional Commissioner of Income-tax either in the aforesaid rule or in Form 45 does not mean that he does not have the authority to issue and sign the warrant of authorisation for search and seizure under section 132(1) of the Act for the simple reason that the Act itself in specific terms now authorises and confers the power of issuing and signing the warrant of authorisation for search and seizure upon him. The rule or the Form cannot run contrary to the basic statute and thus would not override the specific provisions of the Act which admittedly stand amended retrospectively with effect from June 1, 1994. Admittedly, the authorisation for search and seizure in the present case is in the prescribed form having the same contents as prescribed. It has been signed by the competent authority as provided under section 132(1) of the Act. In this view of the matter, the authorisation cannot be said to be without jurisdiction or faulty. 9. The next submission of Sri Agarwal, learned counsel for the petitioner, is that the warrant for search and seizure can only be issued if the twin conditions, i.e., of having information and reason to believe exist that there is undisclosed income on the part of any person. In support of his contention he has placed reliance upon a number of authorities to the effect that possession of information and existence of reason to believe that there is undisclosed income are mandatory pre-requisites for issuance of warrant of authorisation for search and seizure. 10. There is no dispute with regard to the above proposition of law but the said plea cannot operate in a vacuum unless there are clear and sufficient pleadings in that regard. A careful perusal of the entire pleadings of the petitioners does not reveal that there exists any specific pleading in this regard. The petitioners have nowhere averred in the writ petition that the Department was not possessed with any such information or material or that on the basis of such information or material no opinion with regard to undisclosed income could have been formed. In the absence of such pleadings the submission advanced on behalf of the petitioners cannot be appreciated. 11. Lastly, it has been submitted that the search and seizure operation stand vitiated as no two witnesses of the locality were summoned by the search party. 12. In the counter-affidavit filed on behalf of the Department it has been submitted that Sri Sanjay Bhandari and Dr. Sudarshan Singhal were summoned as witnesses on the request of the petitioners themselves. Therefore, the petitioners cannot now take a stand that the search and seizure was invalid as the witnesses were not of the locality. The petitioners have nowhere averred that any protest at any time either during the search or thereafter was lodged by them in this regard alleging that the search and seizure operations were illegally conducted in the absence of witnesses from the locality. The petitioners have not made any effort to make out a case that any prejudice was caused to them on account of the absence of witnesses from the locality. It is not even the case of the petitioners that the aforesaid two witnesses were not known to them or that they were not respectable persons summoned on their request. The purpose of having two respectable inhabitants of the locality is for the fairness of the search and seizure operation from the point of view of the aggrieved person and to avoid highhandedness on the part of the search party and when no such prejudice has been pleaded or established it would not vitiate the search and seizure operation on such a technicality. 13. In view of the aforesaid, the search and seizure operation cannot be held to be, on the facts and circumstances, without jurisdiction or in contravention of any provision of the Act or the Rules so as to occasion this court to interfere in the matter. 14. No other point was pressed before us. 15. In view of the above discussion, we are not inclined to exercise our discretionary jurisdiction under article 226 of the Constitution of India. The writ petition is devoid of merit and is accordingly, dismissed with no order as to costs. This entry was posted in Section 132 and tagged 335 ITR, Allahabad High Court, In favour of Revenue, Search and seizure.